When it comes to oils, I hopped on the bandwagon pretty late. I just never quite understood all the hype surrounding it. 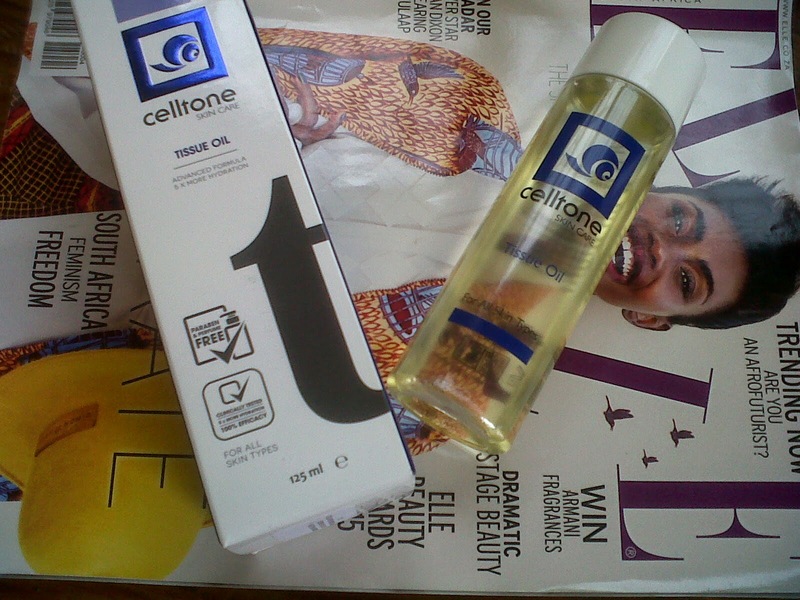 Much to my delight, I received a bottle of Celltone tissue oil a few weeks ago. While it is not exactly ample time to do an in depth review of the product, I decided to do a first impressions post instead. “Celltone tissue oil is non-greasy, easy to apply and has a pleasant fragrant aroma. The advance new formula includes: snail powder extract, vitamin E, grapeseed oil, lavender oil, chamomile oil, rose oil, lime oil, polydecene, lanolin oil and bisabilol. So far so good. In the short time I have been using it (I apply twice a day) I have already seen a major difference. My skin looks less dull and suppler. I found the fragrance a little unusual at first but, now I actually enjoy it. It is somewhat soothing. The bottle closes tightly so even when you drop it (and trust me I have already) nothing gets out. Because of the non greasy formula, my make up does not slide of during the day. Overall, I am pretty pleased with the tissue oil and I am definitely planning on repurchasing. PS. Add a few drops to your bath for extra hydration.